These guidelines help protect America’s most vulnerable communities that are already suffering from low air quality. 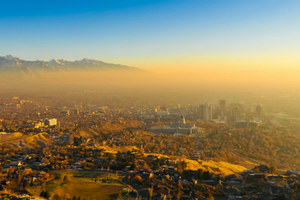 In a horrible twist of events, these communities’ air is getting continuously dirtier — even while the rest of the country’s air gets cleaner! And it’s all thanks to “Volatile Organic Compounds” or VOCs released from fracking operations, which are a key component of smog. As a young American, I am opposed to EPA's proposed rollbacks to control technique guidelines that set the standards for local agencies to reduce pollution from oil and gas development and protect the air we breathe. We cannot put communities that are already living with dangerously low air quality at further risk from smog-forming pollutants. The oil and gas industry is the top man-made producer of Volatile Organic Compounds" or VOCs which are a key component of smog. These pollutants put Americans at risk of respiratory health issues and increase asthma rates for American children. The health of our citizens and our communities must be the priority, not the oil and gas industry's bottom line. It is your responsibility as the head of the EPA to ensure that our communities are safe. Rolling back CTGs is not the way to do so.